Made using the West Coast Style Frame system, our Classic Series Frame Tents are the basic frame shelters used at events and parties. The Classic Series is assembled with tubing and metal fittings connected with pin fasteners. Contrary to tensioned pole installations, the Classic Series Frame Tent is installed by first assembling the basic framework of perimeter and rafter tubing to create the top of the support structure. The tent top is then installed on this framework before the entire assemblage is lifted as the shelter legs are installed. 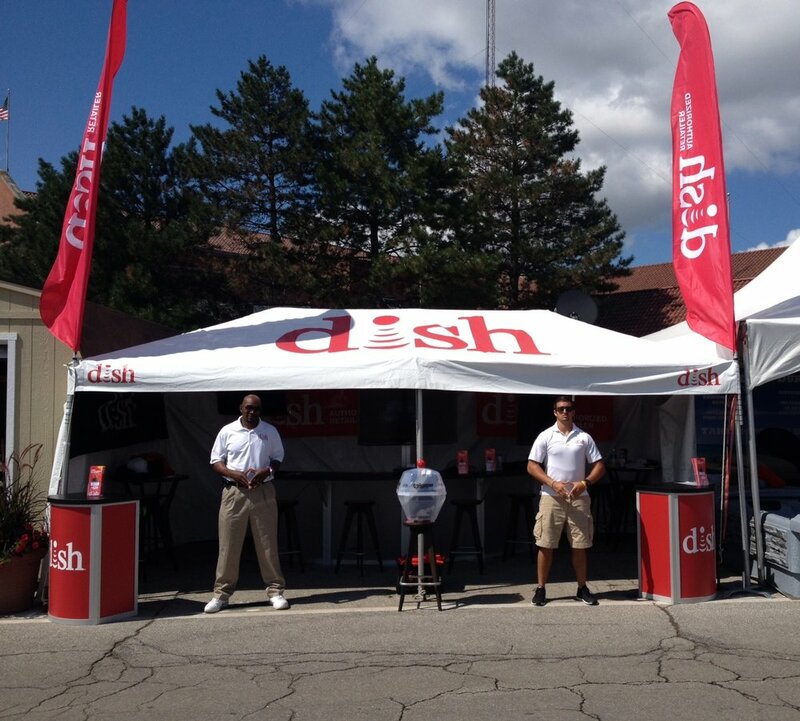 Videos of Classic Series Frame Tent installations can be viewed here. Our most popular frame tent is also the easiest to design for prints, as the generally even top is easily visible from most angles. 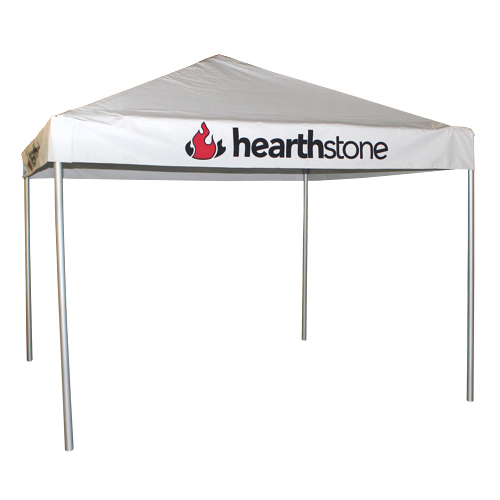 Added printing on the valance portion of the tent allows for more information, such as phone numbers or websites, to be added without detracting from the overall top aesthetic. Printing templates for all sizes can be found on our templates page. Every frame tent utilizes the West Coast Style Frame System, providing interchangeable hardware between existing and replacement pieces. Classic Series Frame Tents are the workhorse if the event industry, providing a completely clear tent footprint and stable installation. Frame supported tent systems allow for installations at locations not suitable for pole installations requiring more stable anchoring for proper tent tension.